Hello fellow hunters! Jeremu from California! 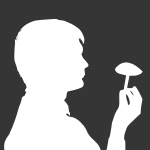 Anyone have tips on how to find mushroom hunting spots? I'm brand new to hunting. I found a Chicken of the Woods growing in an oak tree and now I'm hooked. The only problem is I can't find a good spot ... maybe it's too dry / early?